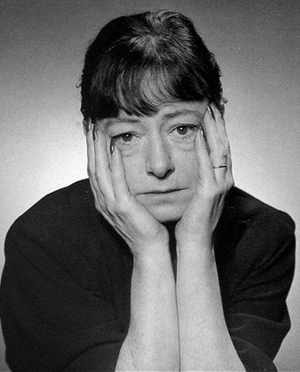 Dorothy Parker (August 22, 1893 – June 7, 1967) was an American poet, short story writer, critic and satirist, best known for her wit, wisecracks, and eye for 20th-century urban foibles. Dismissive of her own talents, she deplored her reputation as a "wisecracker". Nevertheless, her literary output and reputation for her sharp wit have endured. After the United States entered the Second World War, Parker and Alexander Woollcott collaborated to produce an anthology of her work as part of a series published by Viking Press for servicemen stationed overseas. With an introduction by Somerset Maugham the volume compiled over two dozen of Parker's short stories along with selected poems from Enough Rope, Sunset Gun, and Death and Taxes. It was released in the United States in 1944 under the title The Portable Dorothy Parker. Parker's is one of only three of the Portable series (the other two being William Shakespeare and The Bible) to remain continuously in print. Parker died on June 7, 1967, of a heart attack at the age of 73. In her will, she bequeathed her estate to Dr. Martin Luther King, Jr. Following King's death, her estate was passed on to the NAACP. Her executor, Lillian Hellman, bitterly but unsuccessfully contested this disposition. Her ashes remained unclaimed in various places, including her attorney Paul O'Dwyer's filing cabinet, for approximately 17 years. In 2014, Parker was elected to the New Jersey Hall of Fame. Now I know the things I know, and I do the things I do; and if you do not like me so, to hell, my love, with you! And that clears up the matter. Their pooled emotions wouldn't fill a teaspoon. There's a hell of a distance between wise-cracking and wit. Wit has truth in it; wisecracking is simply calisthenics with words. 'Union' is spelled with five letters. It is not a four-letter word.